Is It Better To Floss Or Brush First? brush and floss since you were little. But does it matter which one you do first? According to some recent research released just last year, there does seem to be some clear evidence that flossing first can help you achieve greater oral health. At All About Braces, our orthodontists have treated hundreds of patients at our eight Denver area locations and we’ve been suggesting for years that our patients floss first for some realistic and practical reasons. First, we understand that if you're going to skip one step in the best oral hygiene routine, that step is likely going to be flossing. So, if you floss first, you get it out of the way and can then brush and get the benefits of both. But now a new study indicates that there are added benefits to flossing first. In the study, researchers found that the amount of plaque between the teeth and throughout the mouth was considerably diminished when research subjects flossed first, then brushed. They reasoned that when the participants flossed, it loosened the sticky bacteria and food particles from between the teeth that their toothbrush couldn’t reach. This bacteria can cause plaque to develop. Then, when they brushed and rinsed afterward, those particles were washed away. While other studies have shown that flossing may not reduce cavities, we do know that flossing reduces periodontal disease or gingivitis. As your dentist has told you, plaque and bacteria are the main causes of periodontal disease, an infection in the gums that happens when bacteria grow below the gum line. Periodontal disease can lead to swelling, irritation, gum recession, and tooth loss if left untreated. The new study also concluded that flossing first and then brushing left more fluoride remaining in the mouth since all the participants were brushing with a fluoride toothpaste. Fluoride is a mineral that helps prevent cavities and tooth decay. After you floss, your orthodontists want to make sure you don’t miss the second “punch” of your “one-two” system for knocking out tooth decay and gum disease. Brushing twice a day has been proven to reduce cavities so after flossing you’ll want to gently brush your teeth and gums with a soft-bristled toothbrush. Brushing will help get rid of the bacteria that cause decay on the outside surfaces of your teeth, as well as assist in preventing gum disease. Place your toothbrush at a 45-degree angle against the gums, moving the brush back and forth gently in short (tooth-wide) strokes, brushing the outer tooth surfaces and the inner tooth surfaces. Make sure to avoid any toothbrush with very hard bristles, as they can aggravate your gum line and cause early gum recession. After brushing, our Aurora orthodontists also recommend using an antibacterial mouthwash to remove any germs that might still be clinging to your mouth. Mouthwash kills 99% of bad breath germs, has a 21% greater gingivitis reduction than merely brushing and flossing alone, and was shown in a clinical study to reduce 52% more plaque than just brushing and flossing alone. Brushing and flossing every day are essential components of a healthy smile...but for those who are receiving orthodontic treatment from your Denver area orthodontists, keeping your mouth clean is more important than ever! Unfortunately, during your braces or Invisalign treatment, there is a greater risk that your teeth can develop plaque and tooth decay. The recesses and crevices found in and around traditional metal braces make the perfect hiding places for food particles to get stuck. Our Denver area teams can show you how to use a floss threader and help you navigate flossing in and around your brackets and wires. However, if you want to be able to easily floss, find out if you are a candidate for Invisalign. 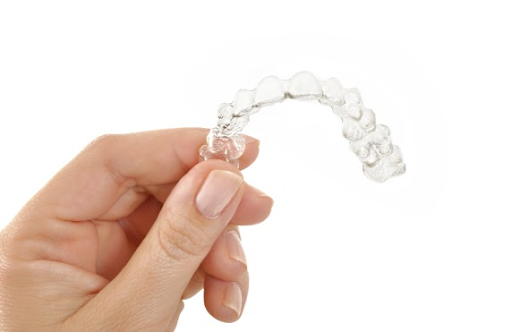 With Invisalign or Invisalign Teen clear aligners, you can remove your aligner trays at any time, allowing you to properly clean your teeth with ease. Check out our Invisalign FAQs to find out more. Call Your Denver Area Orthodontist Today! There is no doubt that the orthodontists and dentists at All About Braces are the best in the state of Colorado! With eight convenient locations in Denver , North Aurora, Lakewood, Arvada, South Aurora, Thornton, Highlands Ranch, & LoDo, you are sure to find a nearby orthodontist to call home for you or your child. If you have started braces or Invisalign treatment, begin your oral health care hygiene plan now and you’ll see the benefits immediately! We’re here with oral hygiene tips and all the support you need to stay on track to keep your mouth healthy. Request an appointment today and we’ll get started giving you that confident, healthy smile you deserve! How Do Rubber Bands Help My Orthodontic Treatment? At All About Braces, we are committed to creating gorgeous smiles for patients of all ages, through a wide variety of orthodontic treatments, including braces and Invisalign clear aligners. Through our expert braces treatments, we have helped countless patients boost their confidence and transform their smile. 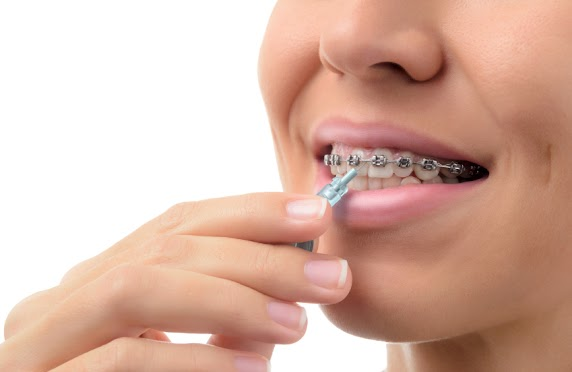 Our dedicated doctors strive to help our patients understand as much as possible regarding their orthodontic treatment, which is why we’re pleased to provide the following information on the importance of rubber bands in braces. Metal braces are the most common form of orthodontic treatment, and for good reason: they really work! Braces have provided patients young and old with straight, beautiful smiles for many years. Nearly everyone is familiar with the brackets, wires, and rubber bands associated with braces, but why are rubber bands important? Let’s explore the reasons below. The most important reason why rubber bands are used with braces is to correct misaligned bites. Rubber bands are very effective at correcting issues such as underbites, overbites, crossbites, and open bites. Not only are rubber bands very versatile, they provide significant stretch. This gives patients a complete range of motion while going about their daily activities and doing things like talking, eating, or yawning. Rubber bands are also very easy to remove, which allows for quick and easy replacement if they should lose function. Rubber bands offer the benefits of convenience, flexibility, and durability. 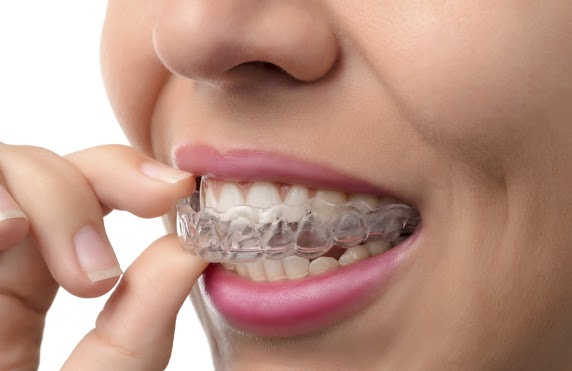 Rubber bands are very affordable and much more cost effective than other forms of instruments for jaw alignment and bite correction, such as headgear, functional appliances, springs, or surgery. This makes them a preferred choice of orthodontists for bringing the upper and lower teeth into alignment. When wearing braces, it is important to wear your rubber bands exactly as instructed by your All About Braces doctor. If not worn as prescribed, rubber bands will fail, and your orthodontic treatment may be compromised. If you take long breaks from wearing the bands, your treatment will take much longer. Be sure to wear rubber bands according to the guidelines set by your orthodontist, and you will achieve stunning results. Contact Your All About Braces Team! Braces can provide you with a brand new, stunning smile that will last a lifetime. At All About Braces, we are thrilled to help our patients achieve the smile of their dreams. If you have any questions or concerns about your rubber bands or orthodontic treatment, we encourage you to contact us today at 702-487-8932, or request an appointment at one of our many locations. We look forward to hearing from you soon!